What kind of \"superhuman\" said \" Hitler? 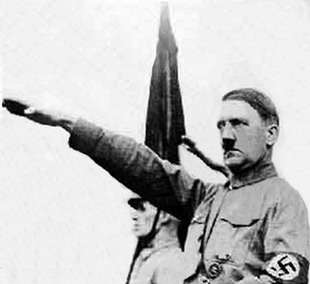 onua.org » Third Reich » What kind of \"superhuman\" said \" Hitler? What kind of "superhuman" said " Hitler? What kind of "superhuman" said " Hitler?it Seemed to be clear: "superhuman" Nietzsche. But how would say "dad Muller", "clarity is one of the forms of napisaniya fog". The head of the Gestapo, no doubt, knew about the activities of "the German society for the study of ancient German history and heritage of ancestors"which Hitler in 1937 integrated in the SS. Officially "Society" engaged in archaeological excavations of the fortifications of the Vikings IX century, ancient settlements on the middle East and occupied by the Wehrmacht countries (including mounds in Ukraine). However, few know that Hitler was allocated for works "Society" means more than the US for the production of the atomic bomb! And the lion's share of these funds went to Finance expeditions in... Tibet. It is enough to look at a map to assess the scale of the enterprise. But not only that: all of the expedition which reached the mountain country, there is not returned! But from Tibet arrived clearly not "true Aryans". The fact that Hitler was seeking connection with Shambhala, a mighty Heart underground technological civilization, the existence of which the majority land" earthlings and not suspects. Legends of Tibet tell that in 3000 BC in the Gobi disaster, transforming the area into the wilderness. And the surviving members of a highly Gobi civilization supposedly moved to a huge cave system beneath the Himalayas. Believe that their envoys were the most Tibetans that came in the Third Reich. Already in 1926, when in Munich, Hitler was the Fuehrer and began his "March on Berlin"in some cities in Germany settled colony of Tibetans. And in 1945, more than a thousand of them - in German uniform, but without documents and insignia, fought in the area Alexan-diclac with Soviet troops, who took Berlin. Supervised minded one of the leaders mentioned "Society" Professor Wurst, a recognized specialist in ancient Eastern cultures, one way or another related to the Gobi civilization and "supermen" Shambhala. My physical relationship with them, showed how difficult it is mortal, no matter how developed it was, to tolerate their presence. Contact with them, incarnations terrible power, I could compare with close lightning during a severe thunderstorm... Nervous prostration, I'm speaking of, was accompanied by a cold sweat and bleeding from the nose, mouth, and sometimes ears..."
And here is what was said about "Superman" Hitler in an interview with the head of the Danzig Senate Rausch-ning: "I will reveal to you the secret. I saw this man. He dared and cruel. I was scared in his presence!" The last sentence testifies to the truth of the words of the Fuhrer, few people are afraid. After all, the same legends of Tibet talk about abilities "supermen" Shambala to materialize and dematerialize, when they want to. "All people will be shocked by the appearance grown as from the ground of the person's unusual appearance. He will turn the eyes of the people and stop the eye, for example, on Lenin's mausoleum. And people will see how from the beginning of the Mausoleum will bounce piece of a wall and later the Mausoleum is sent as a house of cards. Giant will catch people's views, fixed on him. And in his sight : for the people will feel strange weakness and immediately falls asleep, sound on the ground. Someone from the Kremlin guard will raise his gun to shoot a giant, but the giant, immediately upon learning of intent look at the policeman, and the poor will fly in the air together with a piece of the wall, near which he was standing. Caused by a regiment of soldiers, only seeing giant, will immediately demoralized and discarded unknown force together with armored vehicles. Pilots of the helicopter regiment, approaching the place of the events, you will see that all navigation instruments were out of order, as if the helicopter was hit by the strongest magnetic anomaly. The pilots will have strange feelings of anxiety, anger, changing headache, severe weakness, loss of consciousness. The machine will fall to the ground, exploding. All attempts by the military to defeat the giant will be doomed to failure. The element of surprise appearance and disappearance giant will not give the possibility to organize the defense. The military will be demoralized from the thought that their intentions "read" and in organizing a massive attack giant mysteriously disappears... playing "cat-and-mouse". His appearance in the one, then in another city you sow panic among people who million will be in a hypnotic state. Broken is the whole energy system. Stop coming trains, planes, will stop the industry will decline agriculture, people will illuminate their homes with candles, to heat with wood. There would be hunger and disease. Will prevail primitive way of life and the savagery of survivors that after a few generations will turn into a group of aboriginal people-nomads". That's the kind of "Superman" meant Hitler. And financed "Society" has succeeded to establish telepathic contact with "supermen" Shambhala. Two women contactee (one jugoslava, the second German) gave Hitler the drawings and descriptions of the principle of aircrafts of Shambhala. When the German engineers were able to build them, it was... "flying saucer". You are reading news О каком "сверхчеловеке" говорил " Гитлер? if You liked the article О каком "сверхчеловеке" говорил " Гитлер?, prokomentiruet her.